A few weeks ago, Frannie was excited to share with you the discovery of a groundwater system on Mars. 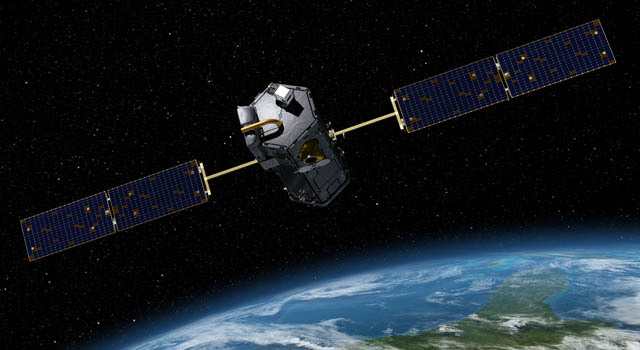 But she wondered, what would we see if we turned the telescopes around and looked at groundwater here on Earth? A team of scientists from the Arizona State University asked themselves the same question. Using cutting edge space technology like NASA satellites and the Global Navigation Satellite System, in combination with ground measurements, they took a look at the Central Valley Aquifer System located in central California. 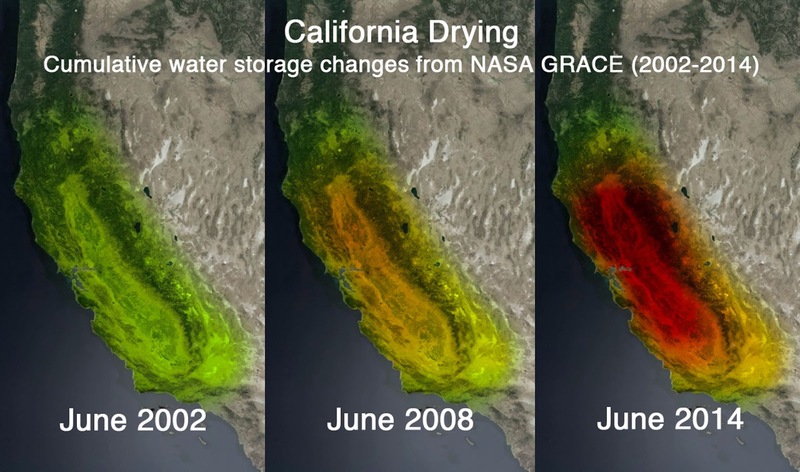 The most recent drought in the San Joaquin Valley area lasted from 2012 to 2015 and made national headlines with its land subsidence, abandonment of crop-land, and receding lakes. The scientists from ASU measured groundwater loss as well as aquifer storage loss during the drought period in order to learn about what it takes to keep an aquifer healthy. Their findings revealed a shocking loss of groundwater each year of the drought and, even more disturbing, a permanent loss of storage capacity in the San Joaquin Valley Aquifer. Frannie already knew why groundwater loss was important and, after a bit of research, she learned more about the importance of storage capacity and why scientists are so worried about its loss. Storage capacity refers to the total amount of water that an aquifer could ever possibly hold in its permeable materials, like sand or gravel. When groundwater is depleted and not recharged, the weight of the soil causes it to compress and settle into itself until it fills all of the spaces where the water used to be. When there is no more empty space for the water to fill, the compacted soil, which is now impermeable, becomes the new aquifer boundary. The aquifer, once able to hold so much water, eventually loses its ability to store the same amount of water as before. Aquifer storage capacity loss can happen slowly and not seem like a big deal over just one or two drought periods. The real danger is when aquifer loss happens over and over again during multiple drought periods. 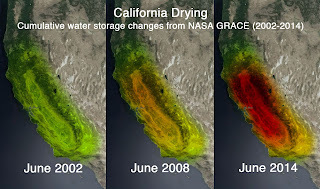 And storage loss is not just limited to the aquifers in California. The research team has plans to continue to study the health of aquifers in the southwest United States. They want to be able to provide water managers all over the world with the scientific knowledge they’ll need to make difficult water use decisions and ensure that clean groundwater is available to us for years to come.